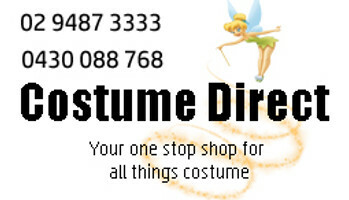 At Costume Direct you can buy the best men's costumes online with fast shipping from Sydney, Australia! Delve into our range of costumes for men, which will suit all your party and event needs! From Captain America to gangsters, Elvis Presley to FBI officers, Stormtroopers to skeletons, you will find exactly what you need for every occasion with our extensive selection! We have the high-quality range, the impressive prices and the super fast shipping to ensure you win 'best dressed' at your next event. Let your imagination run wild as you explore our Mens Costumes today!